I’ve just completed a 30-day module of Headspace and realized I need to graduate from sampling and exploring the 10-minutes-a-day pleasure into something a bit more ambitious. This is not a realization I expected, for I began my daily meditation as a rabid sceptic. 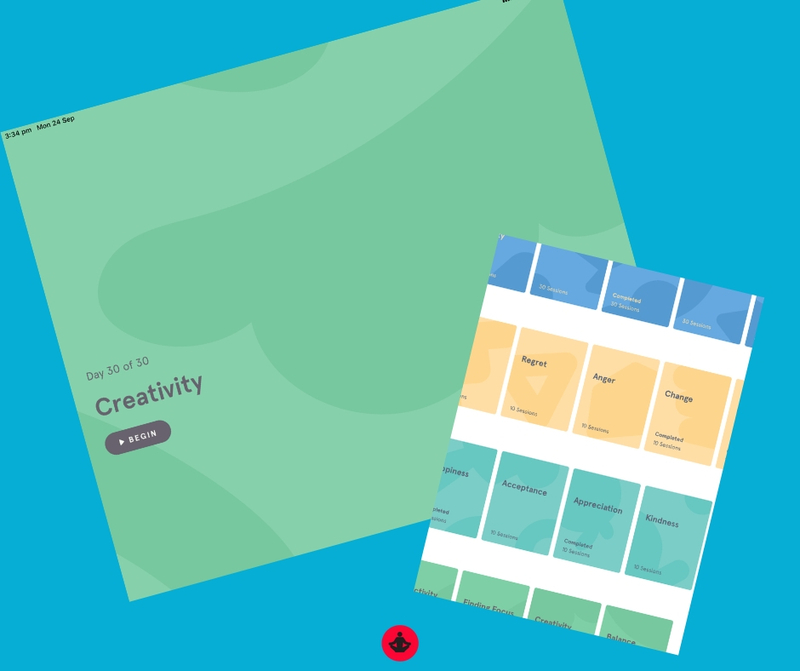 But now that I’ve completed not only Headspace’s introductory meditation lessons but a wide variety of modules – named Creativity, Focus, Appreciation, Change, Happiness, Prioritization, Motivation, Productivity, Restlessness, Sleep . . . you get the picture – I can, it hit me yesterday, attempt to change aspects of my life away from the app. Maybe half of the modules have left a lasting impression on me but two of them strike me as being worthy of revisiting and applying to everyday work and life. One of them, Creativity, should be expected, and it’s a doozy of a module, really expanding the mind’s receptiveness. The other memorable module is called Appreciation and I never thought I would return to it. But it’s a powerful method of reminding oneself of one’s luckiness in life, of shifting away from a tendency to inwardly whinge all the time. So, with a quarter of 2018 to go, let me embrace Creativity and Appreciation and see what happens . . . my pulse quickens . . . Previous PostPrevious If you’re fascinated by a topic, can I suggest a Big Year? Next PostNext Dieters young and old, I heart you!